Arey Anxious To Start New Chapter With B.A.S.S. 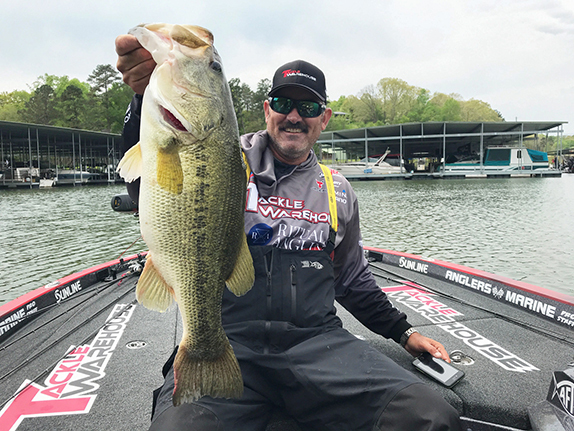 Matt Arey has been encouraged by how open the line of communication has been between the new Elite Series field and B.A.S.S. officials. 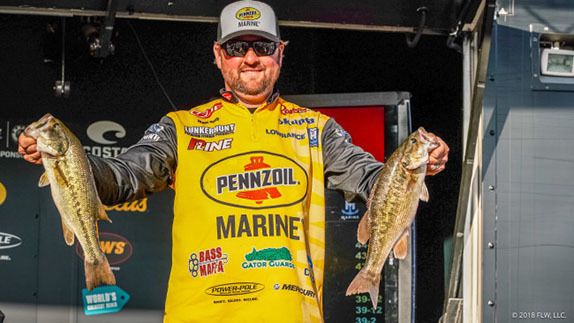 In less than five weeks, Matt Arey will be making his first casts in a professional tournament series not named the FLW Tour. 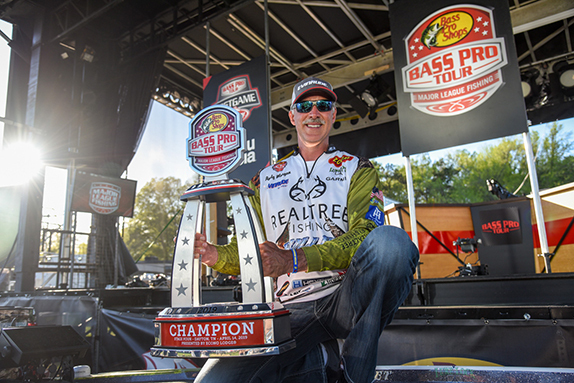 Arey spent the past 12 seasons as a pro on the FLW Tour, where he collected two victories, qualified for eight Forrest Wood Cups and won nearly $1 million, but after an offseason highlighted by the launch of Major League Fishing�s Bass Pro Tour, which touched off an unprecedented spate of anglers shifting to different circuits, Arey landed with the revamped Bassmaster Elite Series. Arey was part of a group of established FLW Tour anglers that B.A.S.S. targeted for invites to the Elite Series to help offset the loss of competitors to the BPT. 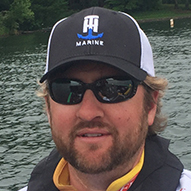 He will be among the 35 anglers who�ll be new to or beginning a second stint with the Elite Series in 2019. Along with a smaller field, other changes include a redoubled effort to create more angler-focused human-interest content. A camera crew from JM Associates, the media arm of B.A.S.S., recently spent a full day in North Carolina with Arey to gather footage to be used throughout the 2019 season. Arey said he�s enthused by the effort being put forth by the organization as it enters a new era. Arey is an avid hunter and a firm believer in taking his mind off of fishing during the offseason. The two simply go hand in hand for him. He hasn�t made a cast in two months, so he�s recharged and ready to get back to the competition. Also fueling his desire to get back to casting for cash was just the chaotic nature of the offseason. 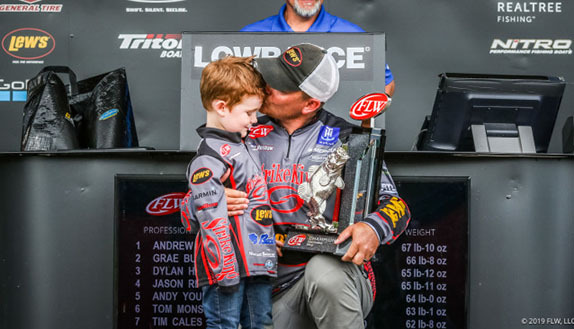 Despite all the hubbub and all the shifting of anglers, Arey will not put any more pressure on himself to perform than he already does. Arey said when the Elite Series invitation came his way, he took several factors into account, mainly how the added events on the Elite Series schedule would impact his family. He and wife, Emily, have two daughters under the age of 7. He said the smaller field and B.A.S.S.�s media footprint, combined with feedback from his sponsors, made it an easy call. As experienced as he is, there will be a few things about his first Elite Series season that Arey isn�t accustomed to. The St. Johns River, which will host the season opener in early February, will be one of five venues on the schedule that Arey has no prior experience at. That doesn�t concern him as much as what the first back-to-back sequence � St. Johns River/Lake Lanier � will be like. One other change will be the prohibition on landing nets in the Elite Series. "Both of my parents have had a great influence on my life and career." "I've always loved to compete, and that's what drives me."